Diogenes' Middle Finger: Trump Team Warns Creepy Future King: None of That Global Warming Crap! Trump Team Warns Creepy Future King: None of That Global Warming Crap! Donald Trump is set to meet with Prince Charles this June when he visits Britain, which may turn out to be awkward given the fact that Trump previously told Howard Stern that he totally could have “nailed” Princess Diana and was also pretty obsessive about pursuing her after the royal pair broke up back in the ’90s. Reportedly, Trump sent her an absurd amount of flowers after her divorce. But it may be awkward for other reasons as well! Apparently, Prince Charles has already been warned by Team Trump to not “lecture” The President about climate change. “They do not want the president to be put in an awkward position where he’s being lectured. They want horses down the Mall, tea with William and Kate. 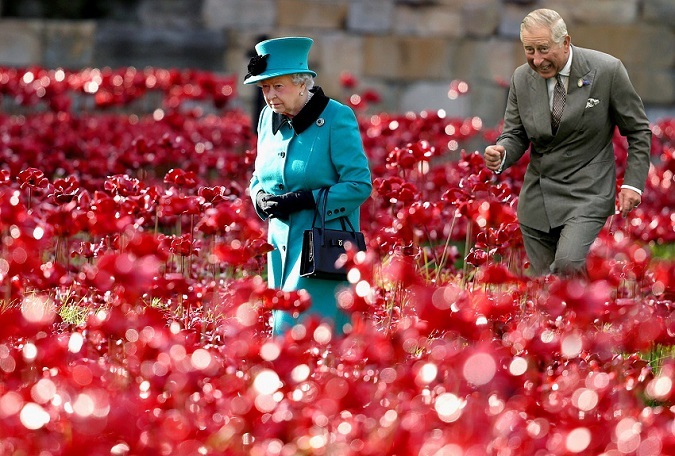 They want all that pomp and for it to go seamlessly, and one of the risk factors is Charles." THE BRITS WANT HORSES AND TEA! HORSES. AND. TEA. And a golden goose that lays gold eggs for Easter. And the horses should be painted gold and have wings and they should all bow before the Prince as he walks past them. But everyone at the WH hopes William and Kate will drink tea with Donald and Melania and all the British rags will write stories about how nice they all looked doing that. You see, Donald Trump has already made up his mind on climate change, and Prince Charles might just be jealous, because a billionaire and a man with real power lusted after his Ex Ol' Lady, and he has to wake up now every morning to Camilla! So the Creepy Future King was advised to put a sock in it and be nice, and maybe he won't get some dumbass gifts like Barky had a habit of giving. Thank You MJA for the Linky!